Registration open till Wednesday May 22, 2019. Limited seats (only 15), reservation is on first come first serve basis. 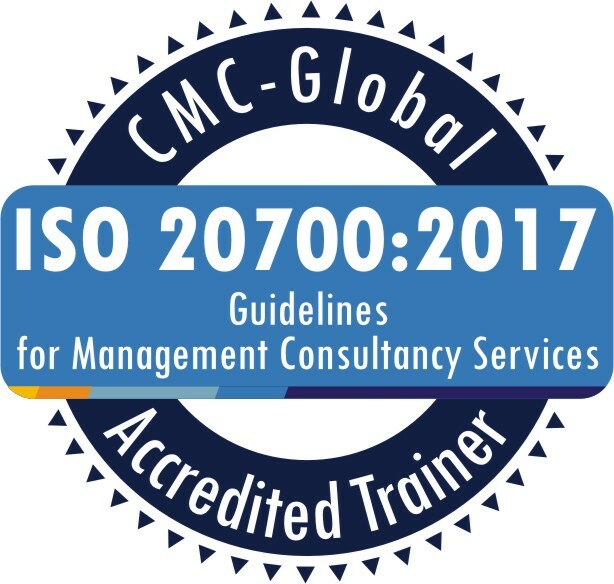 In order to provide practical and hands on support for management consultants in demonstrating their work according to the ISO 20700, CMC-Global (ICMCI) has developed a self-declaration checklist to the ISO 20700:2017 Guidelines for management consultancy services. This training held by ICMCI will accredit the IMCs to conduct the training for their MCs and CMCs. The Training ToR can be viewed HERE, as it provides all the detailed information that you would need to implement the training nationally on behalf of the accredited IMC. Attendees to this announced training will get a certificate issued by ICMCI as accredited trainers to deliver the training on behalf of their IMC. Also ICMCI, and upon the request of the IMCs, will issue certificates for MCs and CMCs, with a proper register and serial numbers, trained by the accredited trainers of the IMCs on their behalf. Language: English – no translation will take place, if a participant is in need of such a service s/he would need to arrange for it.